We are excited to share a Guest Post on Wandering Wagars! Laura Gibbons from letsgolittleone.com. 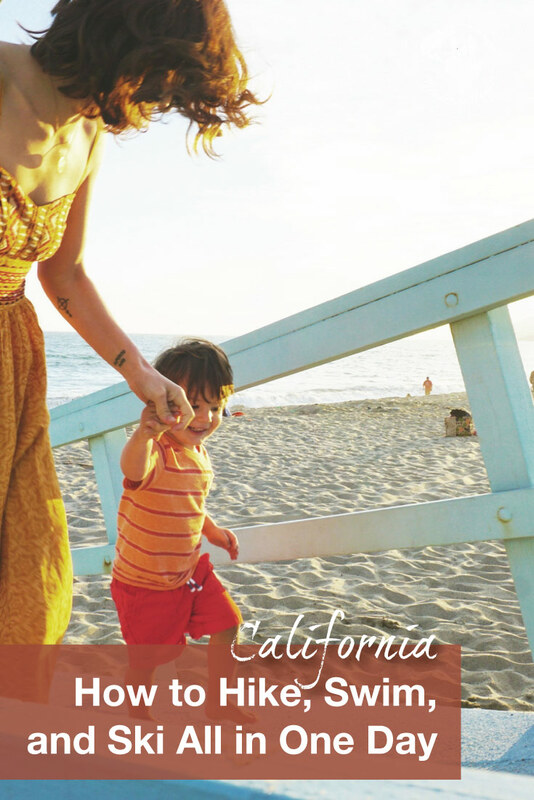 Laura Gibbons lives and works in Venice Beach, CA with her husband, son, and dog. When she’s not traveling with her family, Laura is usually at Disneyland with her son or planning their next trip. Let’s Go, Little One is her way of sharing tips and encouraging other families to get outside and share adventures together! You can read more on her blog Let’s Go, Little One or follow along on Instagram or Twitter. Los Angeles is a fantastic city to visit but can be pretty difficult to navigate. Unlike most large cities, L.A. is very spread out, pretty much requires a car (or a big Uber budget). 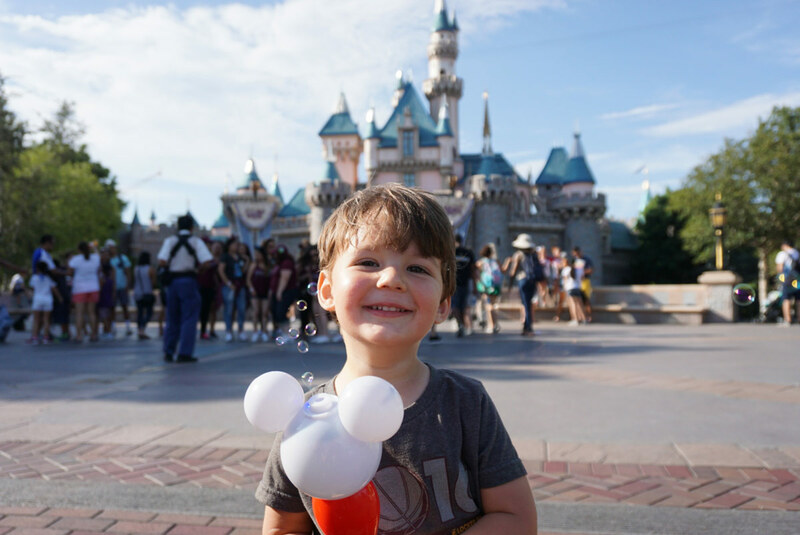 However, with a little research and a few recommendations, you can have an amazing trip to the City of Angels, especially with kids! 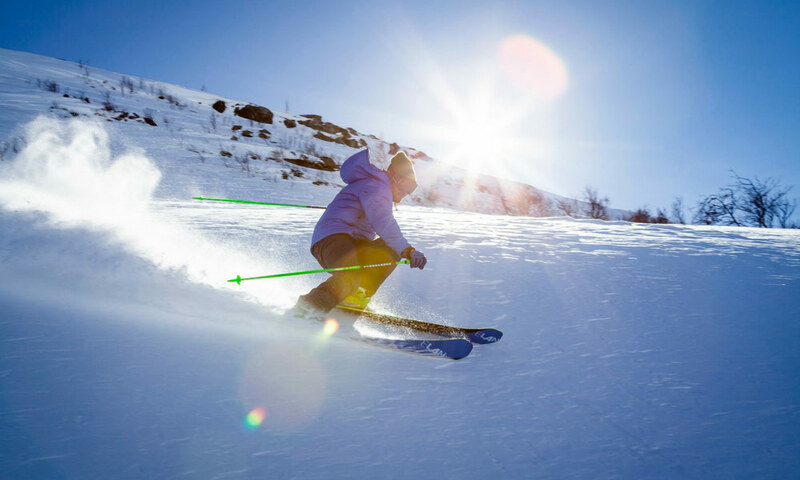 Start your morning early and head to Mountain High Ski Resort for skiing or snowboarding. Mountain High is about an hour and a half from Los Angeles, located in Angeles National Forest. If you’re new to the sport, they offer first-timer, kids, and adult courses. Or, if your kids are too young for skiing, anyone over 36” can go tubing onsite as well. For families with extended trips, you can drive a bit further out to Snow Valley or Bear Mountain Resort for a fun weekend up in the mountains. Big Bear is a great place to spend a weekend in Southern California as they have plenty of activities year-round. After you get your snow fix in, head to the Santa Monica Mountains for some hiking. For those that want to get a view of the Hollywood Sign, you can actually hike up above it for some incredible city views. There are a number of routes, from kid-friendly to tougher hikes, listed on their website here. Don’t limit yourself there though – there are dozens of hiking trails in and around Los Angeles. The National Park Service has a great list of parks and hikes on their website that you can look through when preparing for your trip. 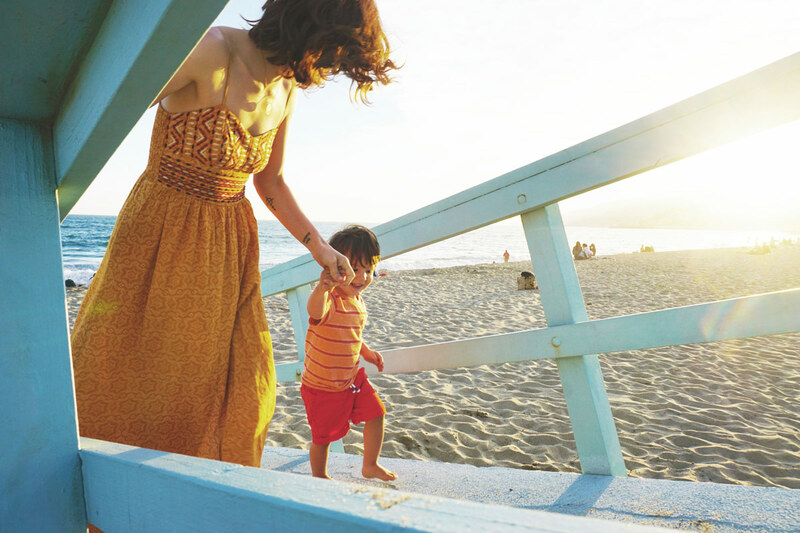 Undoubtedly one of LA’s best features are the beaches of Santa Monica and Malibu. My favorite way to experience them is to head out there a bit before sunset. We’ll pull out the sand toys and play for a bit as the sun goes down, experiencing the whole sunset from the beach. And being on the West Coast, the beaches usually get spectacular sunsets. Since it’s later in the day, you’re less likely to be sitting on a crowded beach too. Of course, any time is a good time to visit the beaches here. You can swim or surf, depending on how old your kids are, but either way, it’s fun for all ages. 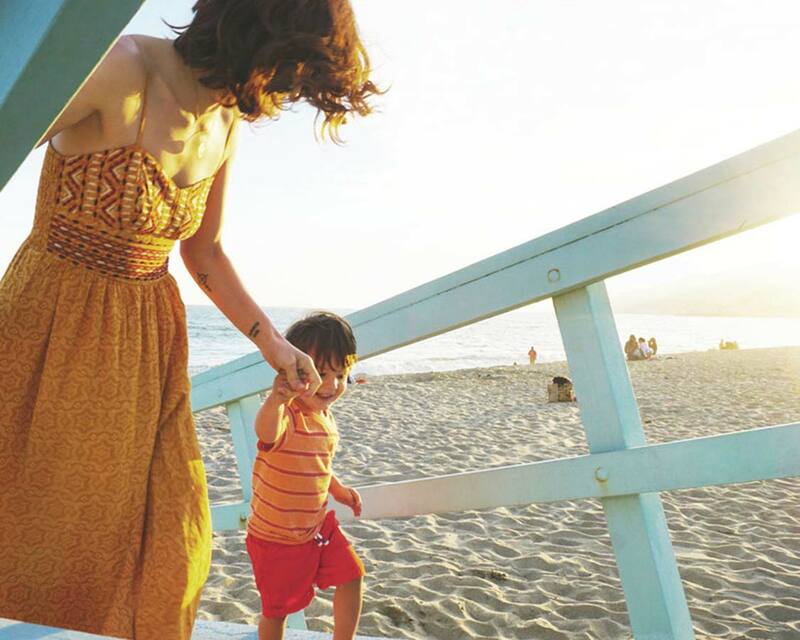 The most accessible beach from Los Angeles is along the coast of Santa Monica. Although they tend to be the most crowded, they also have a ton of activities and restaurants nearby. The Santa Monica Pier is a great place for kids too with a few roller coaster rides. If you’re looking for something a bit less crowded, head up north into Malibu where you’ll find Zuma, Lechuza, El Matador Beach and more. These are some of the most beautiful beaches around and definitely worth checking out. For something more unique, check out Venice Beach where you’ll see a giant melting pot of Angelinos, funky restaurants, and of course, a beautiful beach. Visit an amusement park: For younger kids, you can visit Universal Studios Hollywood, which now includes The Wizarding World of Harry Potter. For older kids, Six Flags Magic Mountain has a ton of roller coasters for the adventurous families. And just south of LA is Disneyland, our personal favorite. Visit a museum: There are dozens of museums to see in Los Angeles, from the famous Getty Villa and the iconic Griffith Observatory. You can also visit the more touristy places like Madame Tussauds Hollywood wax museum. Head to the desert: Just a couple hours outside of Los Angeles, you’ll find Joshua Tree National Park. If you’re a family that loves to camp, this is such a beautiful place to camp out for a night or two. During the days, you can hike and explore the park’s unique ecosystem and at night, you’ll get some incredible stargazing away from the city’s lights. However you end up spending your time in Los Angeles, don’t forget that it’s much more than Hollywood celebrities and mansions. LA is a city with a vibrant culture and beautiful and diverse landscapes. We hope you enjoy our city as much as we do! I’ve been to LA and did all the traditional things I wish I would have included these as well! I love Los Angeles and was so glad to call it home for about two years. It’s so true, so much natural beauty in terms of the parks and beaches and the museums are fantastic as well. A truly fun city to explore and one that travelers should not miss. Great post! This looks like a beautiful place to explore. I really liked your photo of the Hollywood sign, I’ve never seen it from that angle before! I’m based in San Diego, and after living here for nearly 30 years, I can appreciate road trip to explore nearby cities. We’ve only ventured as far as Los Angeles a few times. I can see I’m going to have to make a habit of getting up there — as it seems there is so much to do! I HAVE been to Venice Beach, and that really was a fun place to explore! Adorable pictures! Having been to LA probably 25 times, I’ll have to say that I’ve never done one sport at all. Sporting events, but no hikes, skiing, anything. like that. By the way, your photo from behind the Hollywood sign is terrific!! Whose idea was that?